This 5-part course will equip you to reframe sustainability, think critically about what it is (and isn't), see past greenwashing, start thinking in systems, map life cycles, and make more (truly) sustainable decisions in your life and work. Sustainability is all about the social, economic and environmental considerations we can make to ensure we create a future that works better for all of us. In this course learn how to map life cycles, how to calculate your ecological footprint, develop your ability to think critically about sustainability and bust through persistent eco-myths. 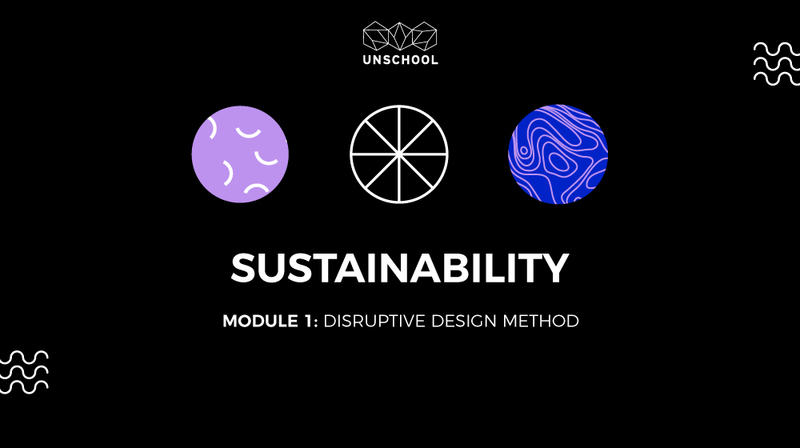 Taught by a UNEP Champion of the Earth, this 5-part course will equip you to reframe sustainability, think critically about what it is and isn't, see past greenwashing, start thinking in systems, understand life cycles, and make more (truly) sustainable choices in your life and work. Examine the historical and contemporary underpinnings of sustainability, as both a concept and a practice. Delve into the product of pop culture’s greenwashing and how to: (a) see through it and (b) avoid accidentally doing it. Engage in reflective thinking around environmental impacts and consequences, including understanding function and functional impacts, and learn life-cycle thinking and assessment methods. Receive the methods for evaluating environmental and social impacts, including determining the ecological footprint. Welcome to the Sustainability Course! Part 1: What is Sustainability? Sustainability Course Synthesis - Tying It All Together! In this knowledge session, we take a proper look at the concept of sustainability beyond environmental folklore, and lay the foundations for how you can make more informed environmentally and socially-responsible choices in both your personal and professional lives alike. We will explore how to integrate sustainability into decision-making and take a look at best-practice approaches to understanding its impact. Along the way we'll shatter some common “green” myths and further examine how sustainability relates to professional practice. You will learn about how to initiate your decision-making process by considering consequences, especially around personal consumption (which is our biggest issue). When we make choices, we consider the potential impacts of our actions and, in this case, inaction. We can consider and design for a future that avoids the potential catastrophes of inaction, by designing solutions that respect the systems that sustain life, while meeting the needs of the human species. From there, taking a lifecycle approach will help overcome the simplistic thinking around sustainability that has caused many of the problems to begin with. Leyla weaves in fascinating examples of where good intentions have led to not-so-great outcomes, while providing you with practical tools that you can start to apply right after the session! Overcome linear thinking and unravel the interconnectedness of our world. This 5-part course will get your head around systems thinking and give you the tools you need to understand the complex social, industrial, and environmental systems at play.